An art installation from Fleisher Art Memorial in Bella Vista. Fleisher is a 2016 grant recipient. 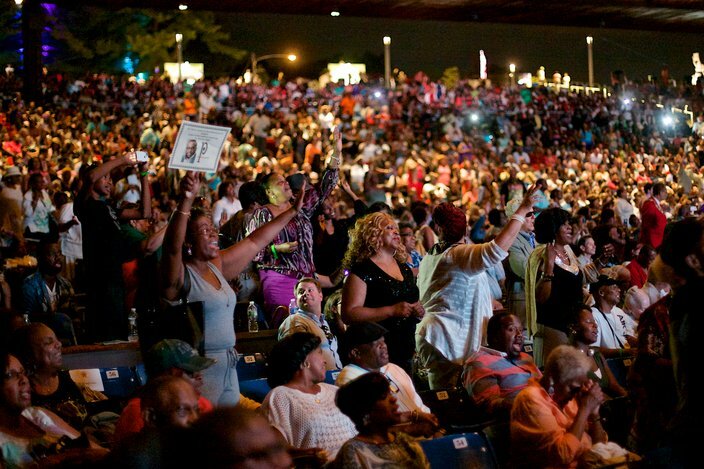 For Philly artists and cultural organizations, the announcement of Pew Center for Arts & Heritage's annual grants is like Christmas morning. This evening, June 13, the Pew Center for Arts & Heritage announced $10 million in Philly arts & culture grants, spread between 12 new Pew Fellows, 36 projects and five cultural institutions seeking advancement grants. The funding is an increase from the $9.6 million Pew invested last year. The rubric is as follows: Fellows receive $75,000 each for their ongoing work in the fields of theater, poetry, dance, film, music, sound design and interdisciplinary practices; organizers of special projects may receive up to $300,000 for "exceptional" works, with a sum lumped in for general operating costs; advancement grants, meanwhile, are multiyear investments meant to support cultural institutions that make long-term investments in the Philadelphia region. Below are a few standouts from the full list of 2016 Pew grantees. 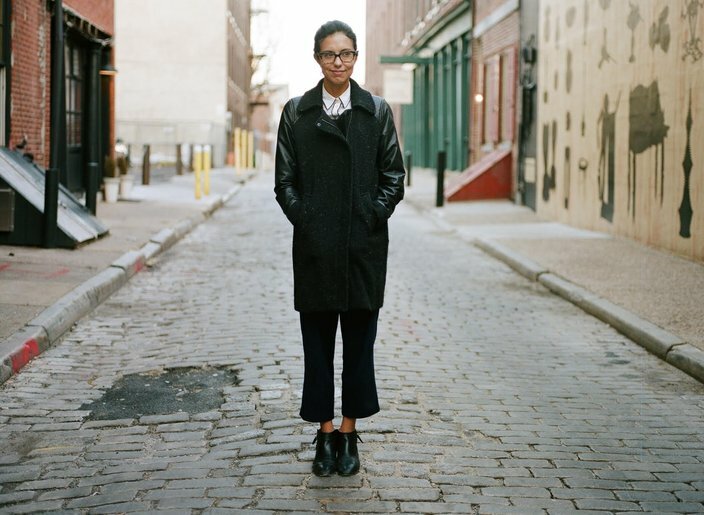 Heidi Saman, a 2016 Pew Arts & Heritage Fellow. Saman is a California native who first took up filmmaking after taking an Italian Film History elective in college. Upon relocating to Philadelphia for Temple University's graduate studies film program, Saman began work on "The Maid" in 2008 as her first film short, before sitting on the idea for "Namour" for six years as her first full-length — a glimpse into the life of an Arab-American valet driver at a swanky L.A. restaurant who's torn between the world of the uber-wealthy and his ever-demanding immigrant family. "I like films that feel like they’re a window into how a director sees and experiences the world," Saman told PhillyVoice. "These types of films are atmospheric, intimate and don’t offer easy resolutions. My hope is to create a relationship with audiences that makes them say, 'I want to see that new Heidi Saman film.'" Saman said the grant will partly cover the loans she took out for "Namour," but also cover a portion of her second film — still to be detailed and announced, but set in Cairo. Notably, "Namour" made its debut at the Los Angeles Film Festival just last week, where it won the L.A. Muse Jury Award. She'll continue touring the film until she settles on a deal for distribution. • Ryan Eckes, poet and Temple University adjunct professor. • Lela Aisha Jones, an interdisciplinary dancer and founder of Philly dance company FlyGround. • Andrea Clearfield, who's composed works for Philadelphia Gay Men's Chorus, the Pennsylvania Quintet and Pennsylvania Girlchoir. • Jennifer Kidwell, a darling of FringeArts who most recently starred in the stage adaptation of Greek tragedy "Antigone" at the Wilma Theater. 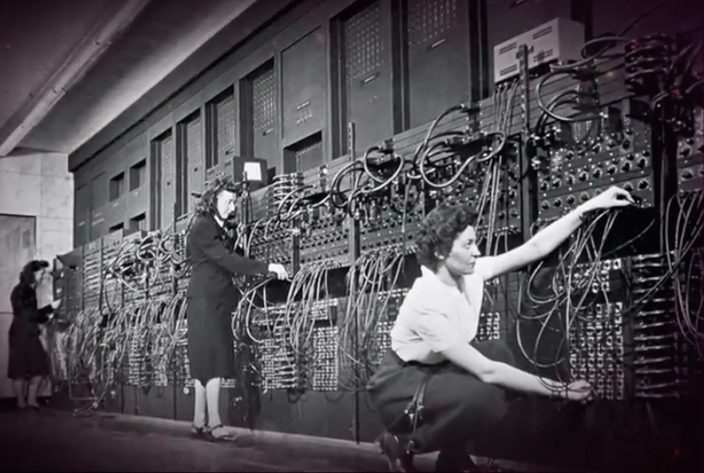 Women work on the ENIAC, the first all-electronic computer. Spotlight: "Making/Breaking The Binary: Women, Art and Technology"
Kelsey Halliday Johnson will create a two-pronged exhibition and publication that aims to highlight how women in the 1970s advanced new-media art — including how interactive technologies changed the way people thought of aesthetics. To boot, she hopes to add historical context by offering a look at the role of women in early computing — yes, including those six Philly computer programmers in the 1940s. "The exhibit and book aim to assert women's place in both the creative and functional aspects of the history of technology, and perhaps render some of our stereotypes about the masculine-driven computer culture as misplaced," Johnson told PhillyVoice. "There are certainly socio-economic barriers still at play in the tech world." Johnson said working as a curator at Locks Gallery, which has "always had a strong stable of leading female artists," was a big inspiration for the project. The exhibit will debut at the University of the Arts Rosenwald-Wolf Gallery next summer. • Rowhouse Workshop. 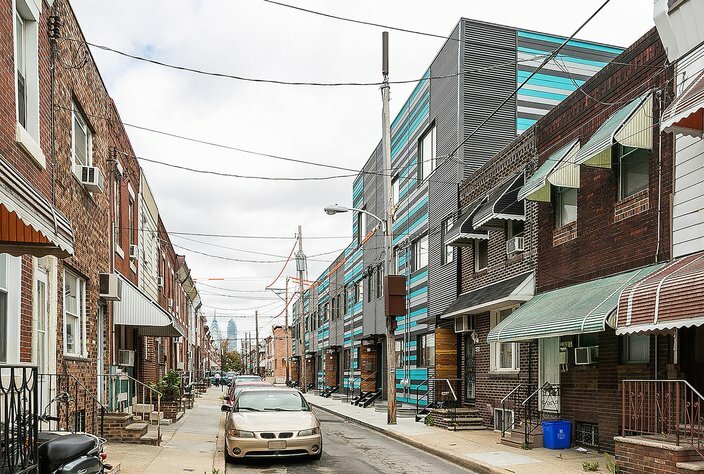 This project recognizes the rowhouse as an everlasting element of Philadelphia living. Interface Studio Architects will work with communities in five neighborhoods to pinpoint three homes in each and explore those buildings' architectural character, social history and physical alterations over time. The point? To inspire developers, historians, city officials and community members to rethink how integral the rowhouse is to our lifestyles, and value how we're designing them as we increasingly rebuild old rowhomes and pitch up new ones on vacant lots. • Re-visiting a Better Philadelphia: 1947-2017. The Preservation Alliance for Greater Philadelphia aims to re-stage and re-interpret an interactive 1947 exhibit from the Philadelphia Planning Commission (and Edmund Bacon) that showed residents a reimagined downtown — and, importantly, was intended to showcase the value of city planning. In this case, the Preservation Alliance wants Philadelphians to think about the impact our changing urban landscape has on the historic fabric of the city today, and what it means for the future. "The [Planning Commission] was able to leverage the 'Better Philadelphia Exhibition' toward ambitious, long-term goals. Our hope is that we can use similar tools to do the same for preservation, some 70 years later," Patrick Grossi, director of advocacy for the Preservation Alliance, told PhillyVoice. "And in the process, illuminate the deep historic context of Philadelphia’s built environment, and the decisions that were made in the past which helped shape the city that we reside in today." Funding goes toward the development of the exhibit. • Bring Your Own Project. 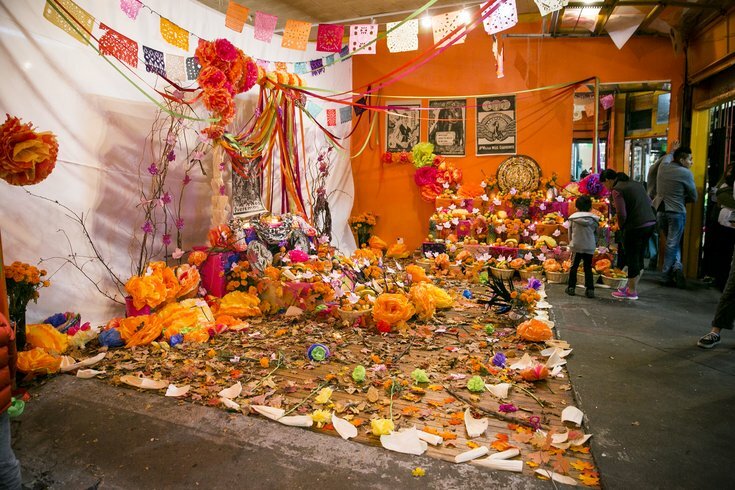 Recognizing that many Asian-American and Latino community members in South Philadelphia get left out of the exhibition process, Fleisher Art Memorial is setting out to not only lure them into the exhibit-making process but have the process be the exhibit. “[We're] examining the concept of exhibition through participation, and not necessarily going through a gallery and looking at something, but seeing the process with the artist and where it goes," Dominic Mercier, director of communications for Fleisher, told PhillyVoice. It's a two-year project that will entail fact-finding trips, collaborations with community artists and organizations (like VietLead) and video work. • Creating Empathy for Animals in Diverse Audiences. The Philadelphia Zoo will study anthropomorphism — ascribing human characteristics to animals or objects — in order to improve its conservation and education messaging. The goal: Empower diverse audiences to become advocates for animals and nature. • Philadelphia Assembled. While details on this one are scarce, the Philadelphia Museum of Art will work with Dutch artist Jeanne van Heeswijk to showcase personal stories that collectively make up Philadelphia's narrative. In practice, that means installations in Philadelphia's neighborhoods, as well as in the museum's Perelman Building. DataArts, a Pew Arts & Heritage advancement grant recipient, aims to help arts organizations improve their performance -- including audience -- through the use of data. Formerly the Cultural Data Project, started in 2004 through funding from Pew Charitable Trusts, the William Penn Foundation and other Pennsylvania cultural organizations, DataArts is a Philadelphia-founded, Web-based data collection nonprofit that aims to equip arts & culture organizations with streamlined access to data that can inform their operations. They do this by offering a platform that provides benchmark reports on attendance, revenue, etc., which can also be used to put together a professional-looking package for grants that don't cost an arm and a leg for small- and medium-sized arts organizations. The grant will go toward finishing touches to a revamped platform, as well as continued maintenance of the end product. The platform will feature a new one-size-fits-all profile. The new platform will launch in the months ahead. Currently, 379 organizations in Philadelphia actively use the tool. • Opera Philadelphia. Funding will go toward the creation of "O," a multivenue festival that will launch in September 2017. The festival's also been supported by the Knight Foundation. • Please Touch Museum. Coming soon: new digital and hands-on exhibits and education programs meant to improve the museum's performance with children age 2 to 11.